Il Derry Journal ha raccolto una serie di testimonianze di politici, scrittori, personaggi noti, gente comune e di un ex ufficiale della polizia, fortemente contrarie alla esternazioni dei politici britannici, tra cui spicca il nome di Boris Johnson. Nei giorni scorsi il Daily Telegraph aveva rivelato che 4 dei soldati coinvolti nella Bloody Sunday potrebbero essere presto accusati di omicidio. Johnson sostiene si tratterebbe di una decisione politica. 28 civilians shot on Bloody Sunday. Soldiers didn't fire in response to attack. British PM apologised and said many of the soldiers lied about their actions. The perpetrators of Bloody Sunday should be prosecuted, and it should have happened fifty years ago. Thanks. You are a silly woman . I was raised in Derry. I was 14 years old when Bloody Sunday happened. I was not at the march but heard the shooting that resulted in 14 innocent people being murdered by British soldiers and many others wounded. Victims of Bloody Sunday need justice ! 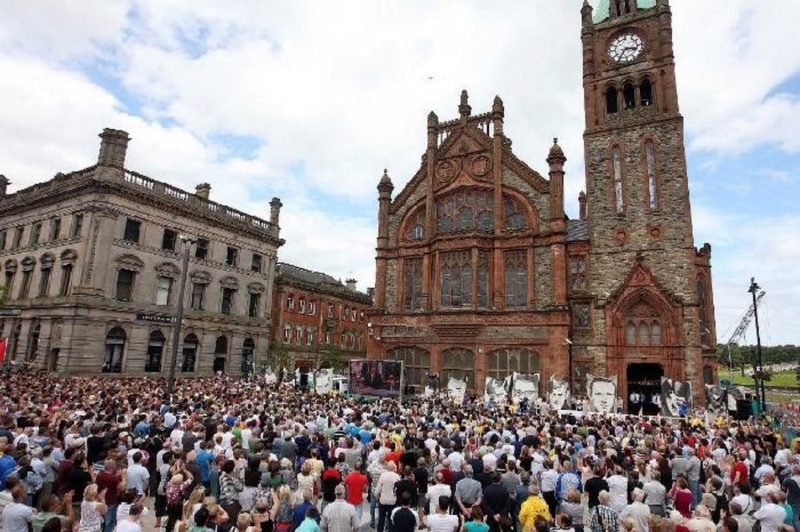 From Derry, Ireland to Selma, Alabama the struggle for human rights is universally linked together. The Primary definition of any civilised Nation is that it holds itself to higher moral standards than any non nation protagonist. Failure to adhere to this renders the state rogue. We mustn’t let your precious armed forces trump justice either Boris, If justice is to prevail.